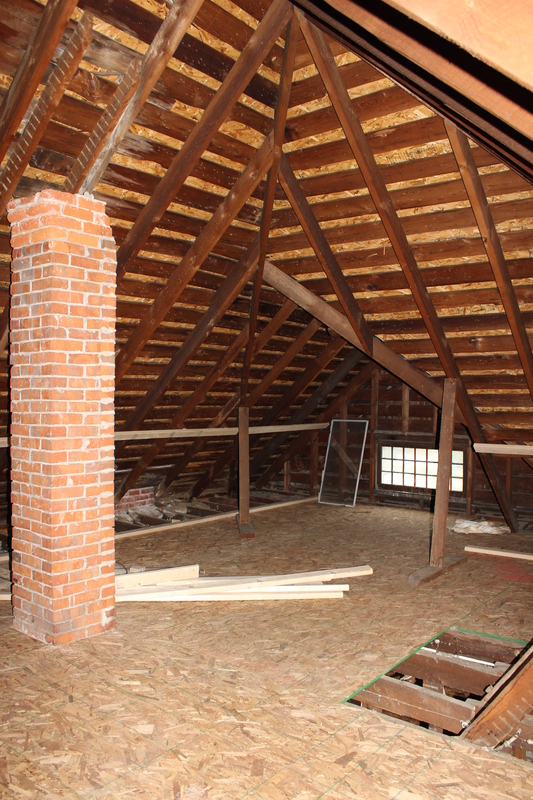 When we bought the house, we knew it had a nice, tall attic. 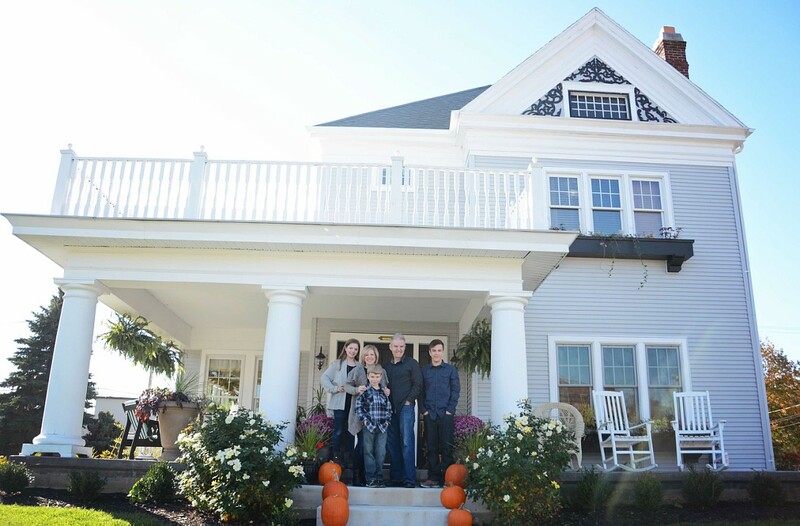 However, there was no access into the main part of the attic, and the only access was through the back addition. We could go up the little pull-down access stairs, stick our heads into the space above the addition, and through the rafters, just glimpse the main attic. However, when the second floor ceilings were pulled out, we had an unobstructed view of the attic, since most of it had no flooring. This is how we think so many things ended up in the walls; falling off the small floored part of the attic and going down between walls. 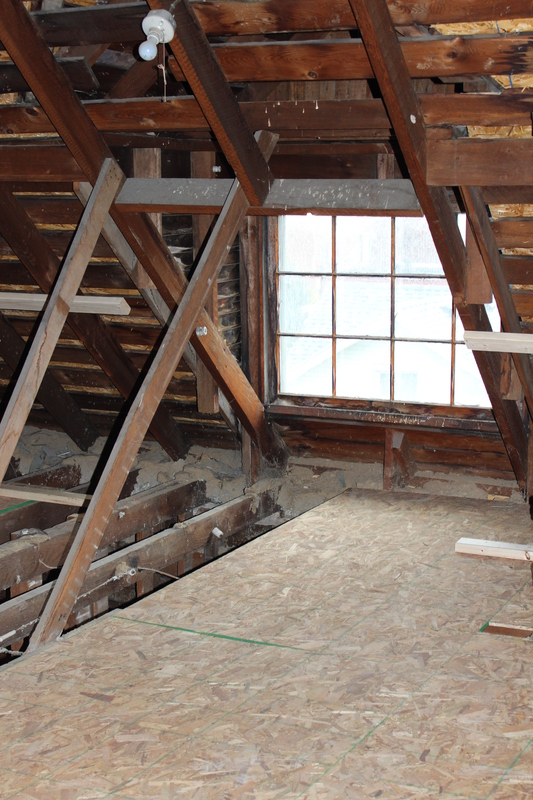 As soon as the second floor ceilings were down, my contractor Jonas and I climbed up the access stairs, walked across the floor joists, holding onto the rafters above, and went into the main attic space. And what a space it was! 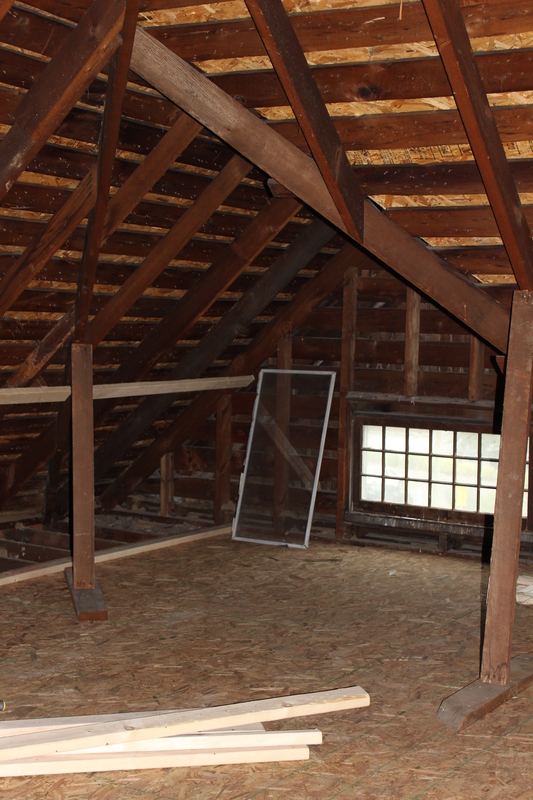 The entire second floor has a tall attic space above it. Since my plans to turn the second floor over the garage into an apartment for my oldest son fell through, the attic became my new apartment space. Jonas put down plywood so we had floors and could lay out the space. We are putting in a full one bedroom apartment. Then we extended the main staircase up another floor – which made getting into the attic a whole lot easier, but not as much of an adventure as climbing in from the addition was! The more time I spend up there, the more I think about using it as my escape when I write my dissertation – as long as my oldest isn’t still living there. This will be an incredible space for guests and long-term adult children moving home for a while. When you have 7 children, having a separate space for them to stay when they visit becomes a necessity. Someday there will be grandchildren visiting and having their own bathroom and kitchen will be wonderful. Yes, this is all part of my master plan to make sure I get to spend lots of time with my future grandchildren! 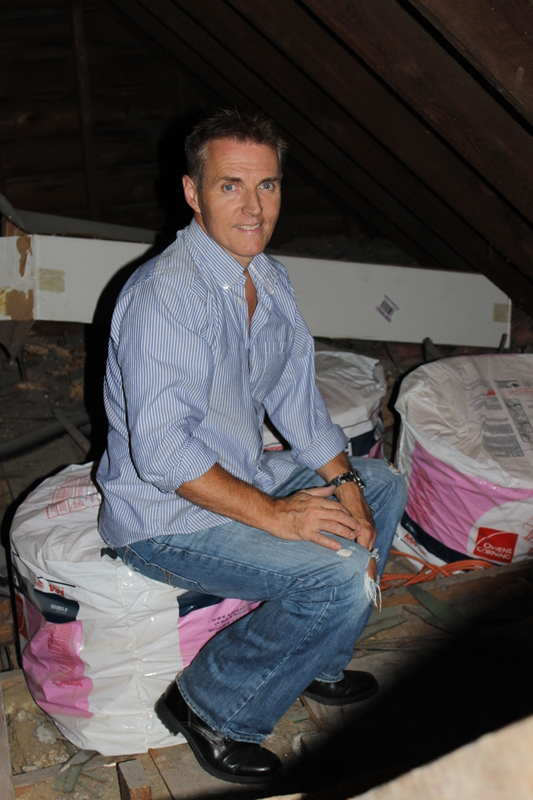 BTW, the guy in the attic is my husband, Mark, who is not as enthusiastic about the attic space as I am. Maybe if I told him it could be his private guitar storage space he might get more excited….. This entry was tagged Apartment, Attic, old house, renovation, Stairs. Bookmark the permalink.